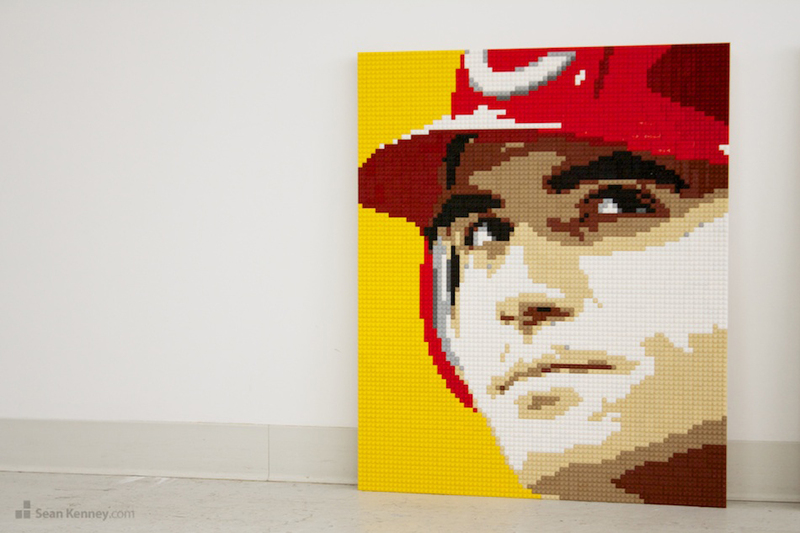 LEGO brick sculptures, artist Sean Kenney. 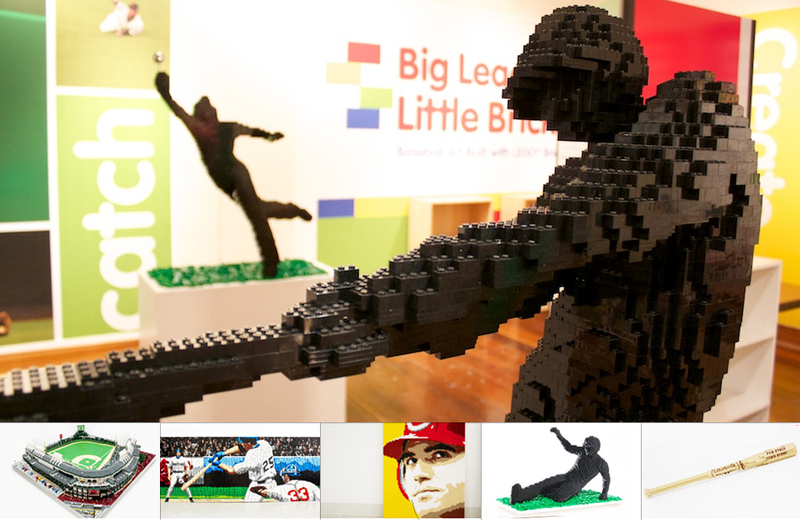 Big Leagues Little Bricks: LEGO baseball sculptures of famous baseball player LEGO portraits, LEGO stadiums, and extreme baseball poses.. Sean Kenney's LEGO baseball show features a LEGO stadium and this baseball LEGO exhibit, Baseball and legos at this amazing show. 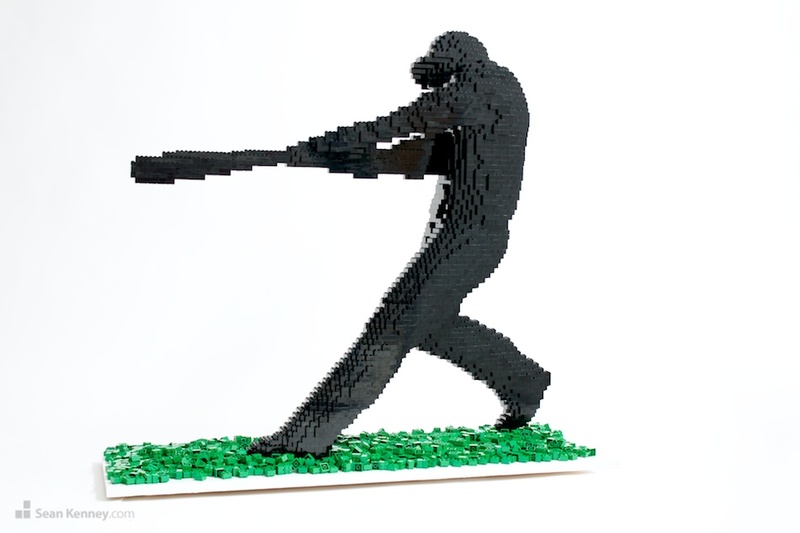 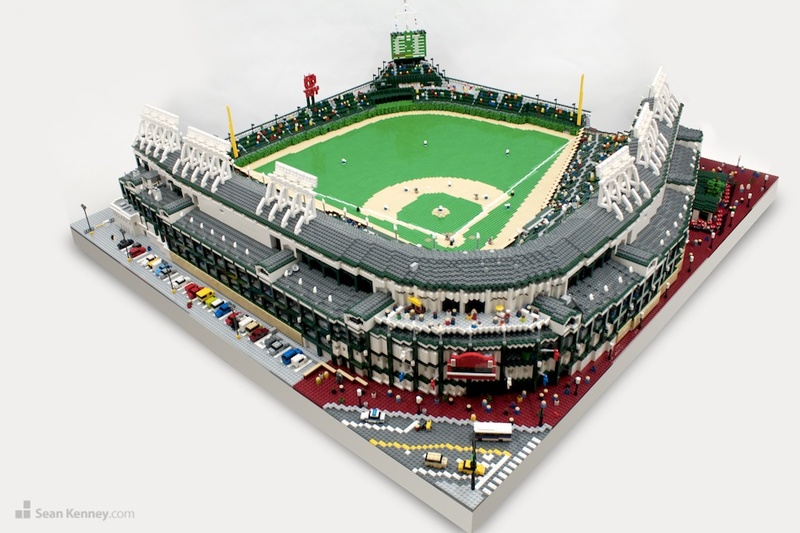 Enter an extrodinary world of sculptures built entirely with LEGO bricks showcasing on the historical lore of baseball as a part of Americana. 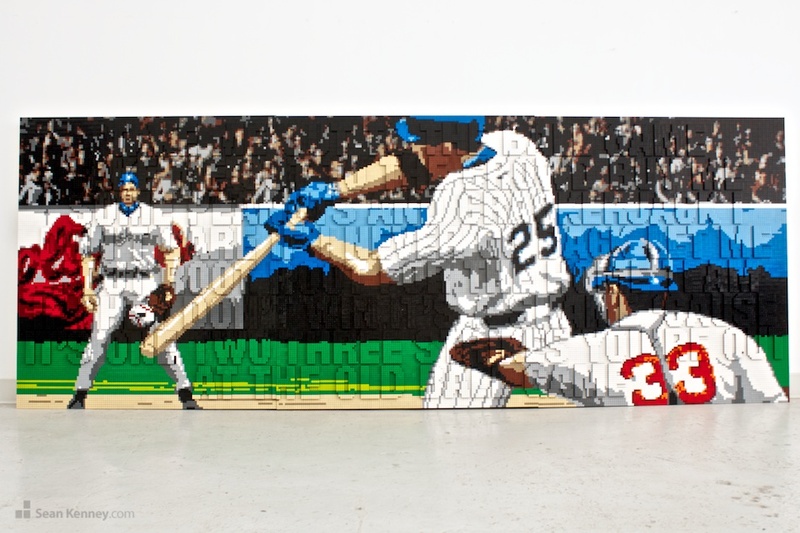 The show features portraits of famous baseball players, sculptural figures of baseball in motion, a classic Louisville Slugger bat, a 10 foot wide mural with the lyrics of "Take me out to the ball game" and a giant model of Wrigley Field, all built with zillions of LEGO pieces.